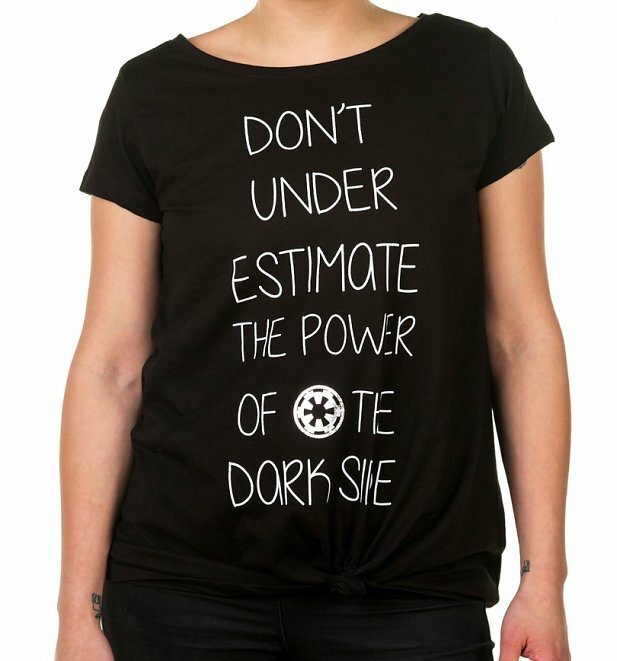 Show your love for the Dark Side with this women’s Star Wars tie-front t-shirt available at TruffleShuffle. 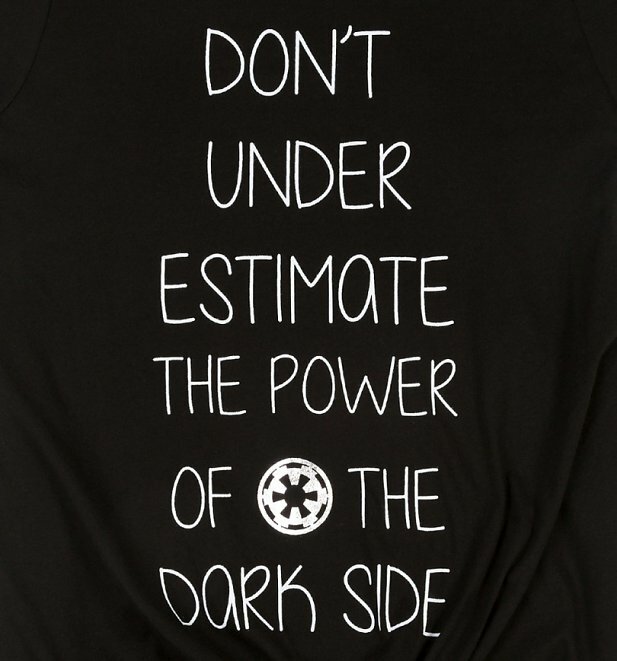 Made from 100% cotton, the black t-shirt features a front print of the text ‘Don’t Under Estimate The Power Of The Dark Side’ – with the Imperial ‘cog’ symbol. The lower front hem of the t-shirt also features a tied knot, which is a fun additional detail. 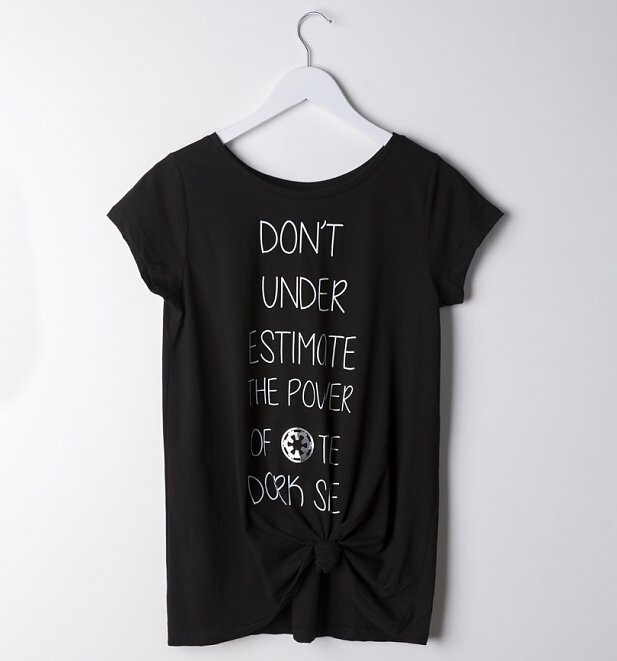 Don’t underestimate the power of the dark side! 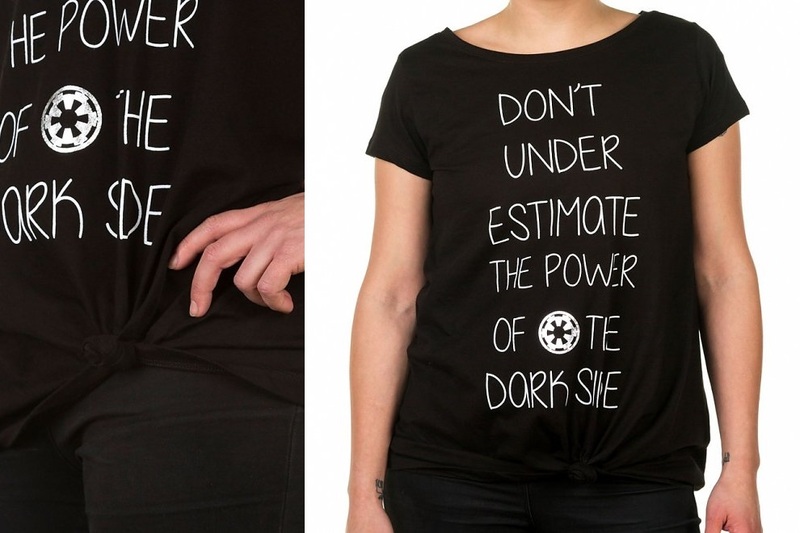 Wise words on this awesome t-shirt flaunting some Star Wars appreciation. 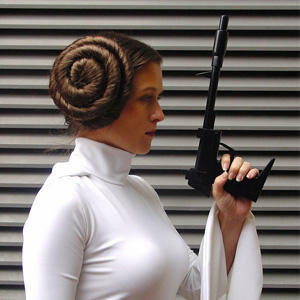 Featuring the phrase paired with the Galactic Empire symbol, there will be no denying your appreciation for the cult films. 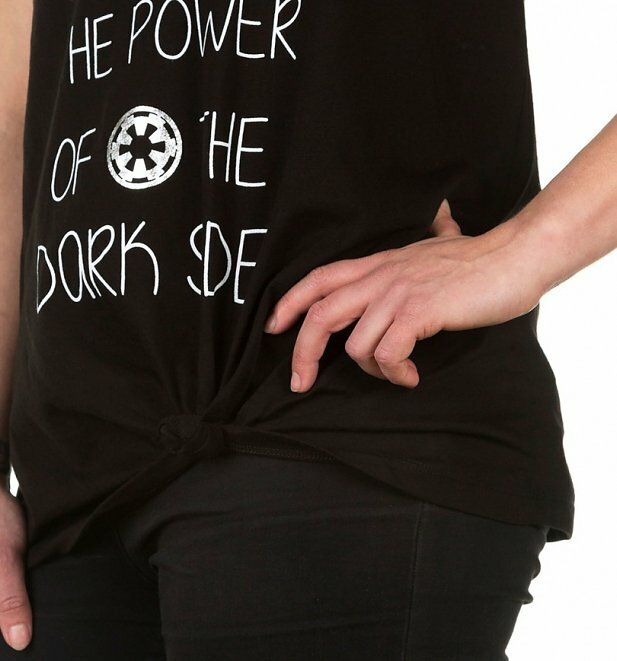 Available in sizes S to XL, the t-shirt is priced at £19.99 each (approximately US$28.35 each) – TruffleShuffle can ship internationally, which is great!